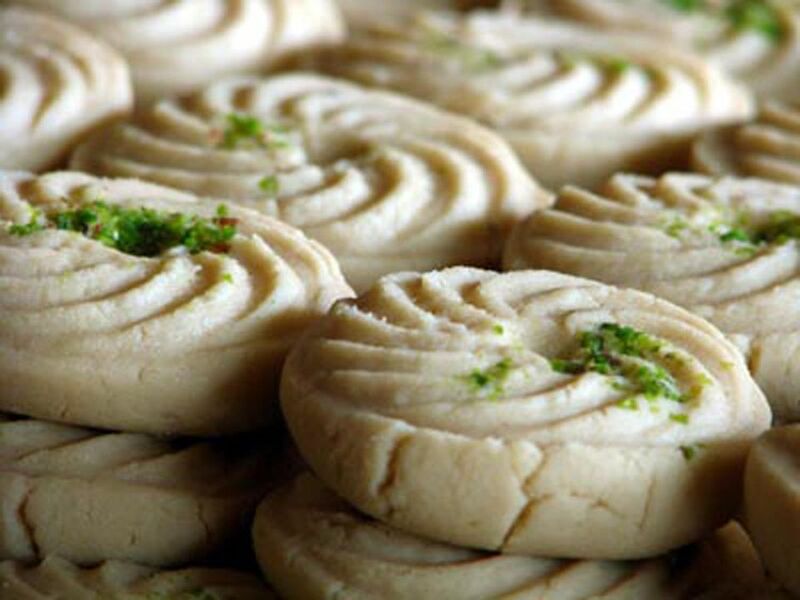 No Bengali meal is complete without mishti or sweets and none is more loved by the Bengalis than Sandesh. It is surprisingly easy to make. Being a milk-based sweet, Sandesh doesn’t last long so consume it as soon as possible. Given how tasty it is, that shouldn’t be a problem. Soak almond and pistachio slivers and saffron in warm milk. Keep aside to use as topping. If the nuts do not soak up all the milk by the time you are ready to use them, drain it away before you use the nuts as topping. Mix the paneer and milk powder in a pan and cook on a medium flame stirring continuously for 3-4 minutes. Add sugar, essence and cardamom powder and mix until smooth dough is formed. Lightly grease the moulds with ghee. Put a little topping mixture (soaked almonds, pistachios and saffron strands) in each mould. Press some of the prepared paneer mixture on top of the topping in each mould and shape. Chill for a few hours, unmould carefully and serve.